Why is it that almost every concert you go to they have the music way too loud? I mean has anyone ever walked out of a concert saying, "Gee, that was good, but I wish it was louder." No of course not. But how many times have you walked out of a concert with your ears ringing and you think you are going deaf? Somewhere along the line people running shows decided that louder is better. You know what? It's not. When the music is so loud, you can't even hear it because it just sounds like noise. I think there needs to be some better regulation on sound levels at concerts. 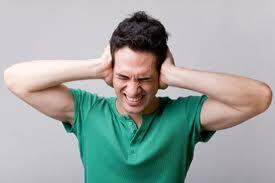 It's a known fact that extended exposure to loud noise causes hearing loss. People should be able to go see their favorite bands play without having to worry about their hearing being damaged. I for one would like to see a lot of my favorite artists play live, but the fact that I know it will be way too loud at the show is a big deterring factor. So this message goes out to all artists, concert venues and particularly the people in charge of the volume levels at concerts. Turn down the volume! We are not deaf, and we don't want to become deaf! Thank you. Regina Spektor. "You are my sweetest downfall"